Mommy Moments – I am a Daddy! Here is his first photo with our eldest. I love the topics for this month! So happy to be joining today. 😀 Advance happy father's day to your hubby! Great post! I'm going to get working on mine soon so I can join the topic as well. Thanks again for the award…I mentioned you here! 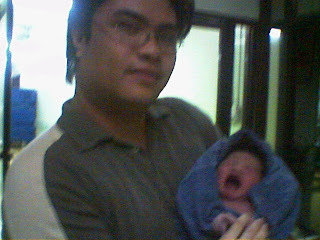 gusto ko magjoin but i can't find pictures of my hubby holding our baby born bunso..hayz! 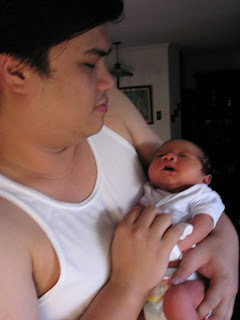 wow, buti pa sila my pictures.. hubby at anak ko wala eh heheh…. good thing i dug out some pictures of "papa" with our babies. Cheers to all the proud dads! Hi Mommy Chris, I super like the topics for this month. It gives me a chance to let Hubby know how much he is appreciated. By the way thanks again for the award! as much as i want to join..siguro past na ako dito..hahaha..la namang daddy anakis ko..I mean yeah he has a father pero not a dad..